Hey all! I'm looking for some insight as to which units have great reputations. I know the Unit Managers and co-workers can make or break a floor. Feel free to PM if you prefer, will be confidential. :) And also, if anyone has any insider tips for school guidance counselor positions opening up around AA/Chelsea/Dexter/Pickney/Saline etc, my wife and I would love you! tips and tricks for difficult IV starts? If ppl keep coming to you saying I got a flash or I got it! But it blew.. lessen the the turniquet pressure. Update time! I now have my BSN, and JUST sent my ink finger prints to Michigan! The ball is rolling faster! I sent an email to theUM nursing recruiter, who was super friendly and helpful- but on the website, they dont have any AA cmapus nursing jobs posted! Yikes. Ill try back in a few days in case they were in the middle of an update. Pretty exciting. I havent completely ruled out another hospital, but my wife thinks I would like AA bc she thinks it's most like Gainesville (FL). Anyway, just wanted to update you guys! Hope all is well! I'd hold it. You can always give it on the next set. But yes, the proper answer is: get parameters. Why is Med-Surg so hated? Not sure if your serious.. People, because, definitely. EMTs Ever Look at You Like You're Dumb? Keep on keepin on, and then you can look at them like they are dumb one day.. :) if you want, of course. Remember, no one, and I mean no one knows what it's like to be a nurse, unless they are or were one. I think how much you need to study depends on how many years youve had on MS, and what kinda hospital you work in. It was a long test, haha. You will get tired of the questions and maybe even start answering too fast or lazily, DONT. I think some ppl view it as a starting point, bc it's so physical it would hard to be a retiring time job when one is older. The social aspect can be hard for some, some of these people are here so often they work the system, while management is pushing for hotel customer service. Add that to an increased acuity level, and it can be tough. BUT It's that toughness that will make you stronger. I've been working med-surg for about 5 years, i'm gearing up for a switch, but it def took me some time to feel comfortable managing it all. I work on a 36 bed unit, and often charge. Glad it turned out ok. Scary tho, i'm sure. I always use a 500 bag with blood, one less opportunity to mess up. 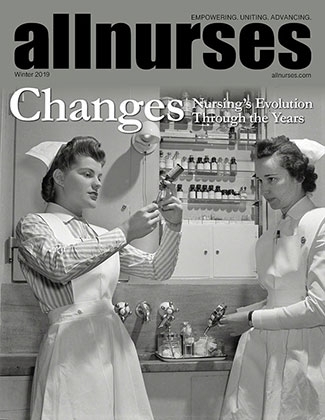 This is a new thread: https://allnurses.com/michigan-nursing/moving-to-michigan-1037609.html Good luck on the boards!